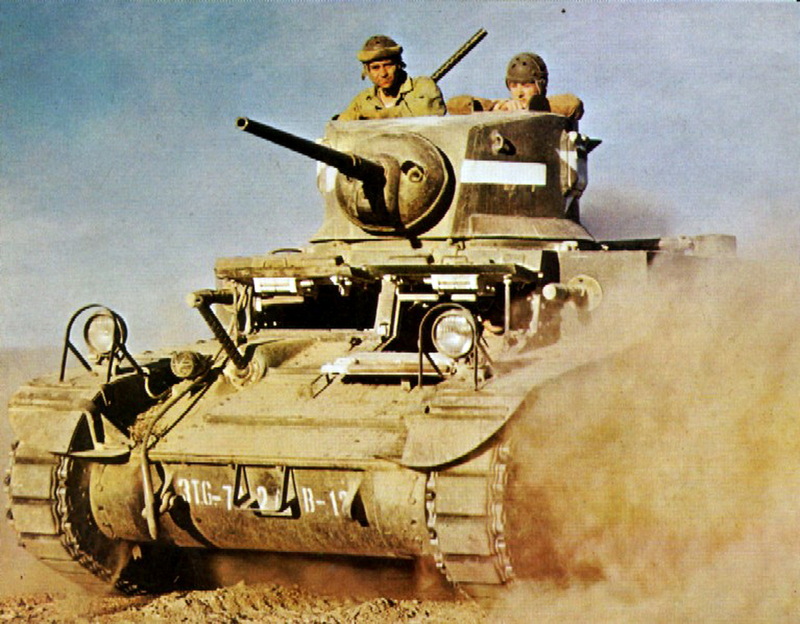 First Army’s advance on Tunis: 24th to 30th November 1942. Algiers is 500 miles as the crow flies from Tunis which could be reached either by sea or by two tortuous mountain roads running through the length of the Atlas mountains. There was a French railway as well, but the chances of it working effectively for some weeks were not high. General Anderson, whose task it was to seize Tunis with his embryonic First British Army, started his advance eastwards before the cease-fire. The only forces at his disposal were Major-General Evelegh’s 78th (Br) Division with the 11th and 36th (Br) Brigades on light assault scales, and Colonel R. A. Hull’s `Blade Force’ consisting of the 17/21st Lancers’ Regimental Group from 6th (Br) Armoured Division reinforced with a squadron of armoured cars, a battery each of Field artillery, anti-tank and anti-aircraft guns, a company of motor infantry and a troop of sappers. The 17/21st Lancers themselves were equipped with a mixture of obsolescent `Crusaders’ and `Valentines’. He could also call on certain British Commando and us Ranger units, and one British and one American parachute battalion. Anderson planned to work his way eastwards along the coast with amphibious landings until he reached Bone, and then to advance overland, using whatever transport he could acquire from the local French authorities to turn the Germans out of Tunis and Bizerta. Brigadier Kent-Lemon’s 36th (Br) Brigade landed at Bougie unopposed on 11 November, but a heavy surf on the beaches prevented the occupation of the airfield near Djidjelli and stopped any fuel being brought ashore although the local French Air Force Commander was ready to welcome Allied fighter aircraft. In the interval between landings at Bougie and the eventual establishment of fighters on Djidjelli on 13 November, there was no proper fighter cover over the port. Axis torpedo aircraft sunk three valuable assault ships – the Cathay, Awatea and Karanga and damaged the monitor Roberts. It was a costly lesson in failure to ensure adequate air cover – a lesson which was repeated all too often in the next few weeks. And, at sea, Axis submarines began to take a mounting toll of Allied shipping, sinking the liners Viceroy of India and Nieuvo Zeeland off the Algerian coast. 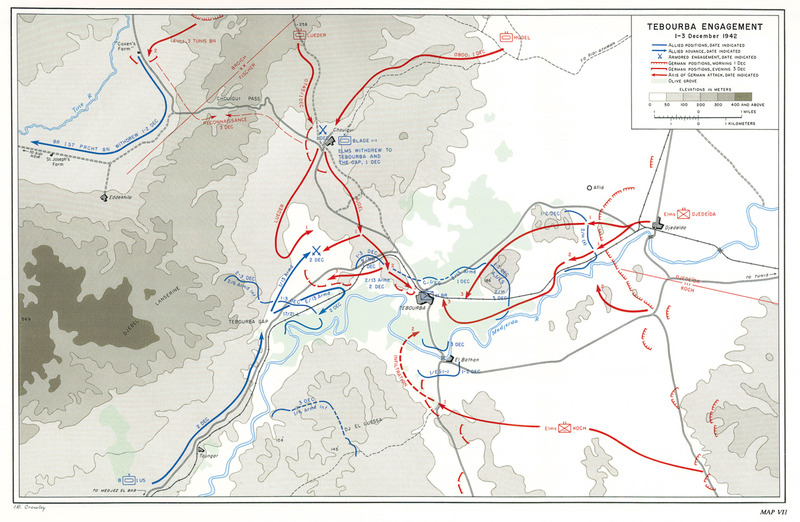 Bone was occupied like Bougie without French opposition, and Anderson started to push Evelegh’s two brigades and `Blade Force’ eastwards; Kent Lemon’s 36 Brigade advancing along the north coast road through Tebarka to Djebel Aboid, aiming for Bizerta; Cass’s 11th Brigade taking the inland route to Souk-el-Arba, Medjez el Bab and Tebourba, aiming for Tunis; and `Blade Force’ following up part by rail and part by road to support Cass. The 1st British Parachute Battalion landed unopposed at Souk el Arba airfield on 16 November, and Colonel Raffs 509 (US) Parachute Infantry, which had suffered so heavily at Oran, was dropped at Youks-les-Bains in Central Tunisia to help the local French forces secure the southern flank of Anderson’s drive on Tunis. In the office when I arrived was Brigadier General Lunsford E. Oliver, commander of Combat Command `B’, a portion of the us 1st Armoured Division. He had made a reconnaissance of the front, had determined that railway communications were inadequate to get him to the battle area promptly, and was seeking permission to march a part of his command in half-tracks over the 700 miles between Oran and Souk-el-Arba. The Staff Officer to whom he was appealing was well informed as to the characteristics of the half-track and refused, permission on the ground that the march would consume half the useful life of the vehicle. The young Staff Officer was not to blame for this extraordinary attitude. He had been trained assiduously, through the years of peace, in the eternal need for economy, for avoiding waste … He had not yet accepted the essential harshness of war; he did not yet realise that the word is synonymous with waste, nor did he understand that every positive action requires expenditure . . .(Eisenhower; page 132). Oliver was given his authority at once on Eisenhower’s orders, but the incident was symptomatic of the twilight atmosphere between the habits of peace and the ruthlessness of war which reigned amongst the American Staffs at this time. No-one expected much to happen in French North Africa for three months, by which time all the paraphernalia of a great base area would have been established and the force would be ready to advance eastwards. Even Oliver’s Combat Command `B’, as it rattled forward through the Atlas mountains on its way to Souk-el-Arba, had a holiday spirit about it. The British war correspondent, David Divine, who was travelling with it, could not help admiring their supreme confidence in themselves and their equipment. The strip cartoon notion of the heroics of war had been confirmed in their minds by their success at Oran. The first actions on land occurred on 17 November when German battlegroups probing westwards clashed with the British advance-guards. Kent Lemon’s 36th Brigade fought a sharp engagement with 11th Parachute Engineer Regiment on the north coast road in which both sides suffered substantial losses. Next day the 1st (Br) Parachute Battalion destroyed a German armoured reconnaissance force near Sidi Nsir. The main fighting, however, occurred at Medjez-el-Bab on 19 November when Nehring attempted to force Barre out of his neutrality by issuing him an ultimatum at 4 am which had to be complied within three hours. At 7 am dive bombers attacked Medjez and the 5th German Parachute Regiment tried to storm Barre’s positions but was beaten off. The French stood their ground all day and in the evening withdrew to Oued Zarga covered by 1st (Br) Parachute Battalion and an American battery equipped with British 25-pounder guns. Evelegh’s plan for his advance on Tunis was not a happy one. It committed all the old British faults of advancing on too wide a front with forces out of supporting distance of each other, and of tanks being used in unsuitable country with too few infantry in support. He envisaged a two-phase advance: First, the occupation of the line Mateur-Tebourba; and then the advance on Tunis and Bizerta. Kent Lemon would continue on the north coast road aiming for Mateur; Cass would retake Medjez and then advance on Tebourba; and Hull’s `Blade Force’, reinforced by 1st Battalion 1st (US) Armoured Regiment in `Honeys’ would push through the hills in between. All three columns would be supported by detachments of American artillery and tanks. Little went right with Evelegh’s advance. Kent Lemon was badly ambushed between Djebels Azag and Adjred – later known as `Green’ and `Bald’ Hills. After three days hard fighting he was forced to give up, and `Green’ and `Bald’ hills became the front line of the northern sector for most of the campaign. Cass was just as unsuccessful. His attack on Medjez was repulsed with loss. `Blade Force’, however, had an unexpected success. Major Barlow’s company of Honey Tanks from 1st (US) Armoured Regiment reconnoitering ahead crushed several German outposts, by-passed others, and he found himself overlooking Djedeida airfield on which the Luftwaffe were bombing up flights of Stukas which had just returned from attacking `Blade Forces’ main columns. Barlow’s 17 light tanks swept onto the airfield destroying 20 aircraft, shooting up buildings, fuel dumps and ammunition, and successfully withdrawing at dusk with the loss of only two men killed, and one tank destroyed and its crew captured. News of this encounter had an immediate and unexpected effect. Nehring became unjustifiably alarmed, believing that strong Allied tank forces were within nine miles of Tunis with little to stop them reaching the city. He ordered the immediate evacuation of Medjez and the concentration of all Axis troops for the close defence of the Tunis and Bizerta bridgeheads. Nehring’s uncharacteristic loss of nerve was short-lived, but it lasted long enough to enable Cass’s 11th Brigade to occupy Medjez, and, after handing its defence over to Barre’s Frenchmen, to advance and seize Tebourba on 27 November. Subsequent attempts by British infantry, supported by American artillery and Grant tanks, to capture Djedeida and its bridge over the Medjerda River failed in the teeth of resolute German opposition which came not only from the ground but increasingly from the air. Luftwaffe aircraft from airfields in Sicily as well as Tunisia began round-the-clock dive-bombing and ground straffing to save the German bridgehead. Air attacks, which had been persistent throughout Evelegh’s advance, rose to a crescendo during the last three days of November. 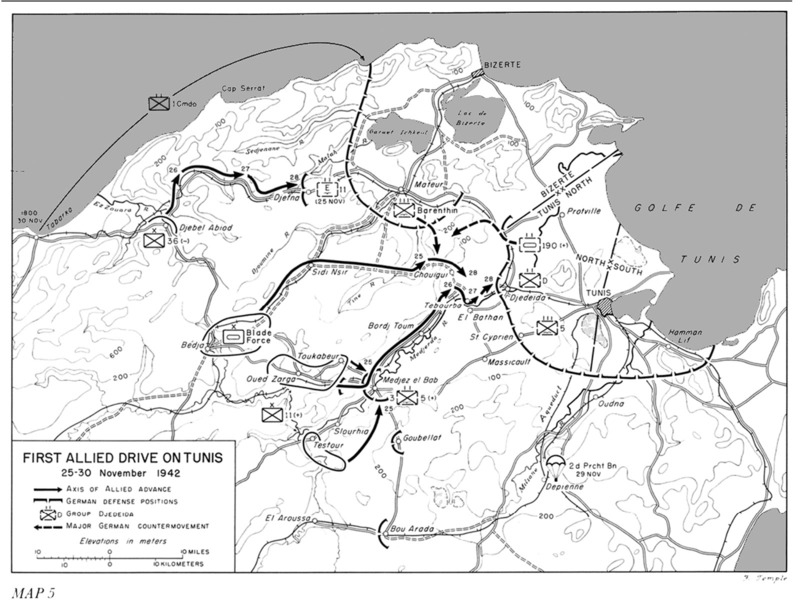 Evelegh was forced to concede defeat and recommended to Anderson that he should pause to allow the Allied Air Forces to improve his air cover and to await the arrival of the rest of Oliver’s CC `B’ and the 1st (Br) Guards Brigade, which were on their way eastwards from Oran and Algiers. The first British attempt to reach Tunis had been stopped by the combined efforts of Nehring’s troops and Kesselring’s aircraft. The weakness of Allied air cover stemmed from four planning mistakes. Firstly, like the Army, the Air Force units had been despatched on `Torch’ with the lightest possible scales of men and equipment. They did not have the servicing capacity to support the sortie rate demanded by the naval and army commanders. Serviceability of aircraft dropped alarmingly, leaving some fighter squadrons with less than half their aircraft. Secondly, the Allies lacked airfields from which to support Anderson’s forces in Tunisia. The only all-weather field was at Bone, 120 miles from the front. The other fair-weather strips were at Souk-el-Arba, 60 miles from Tebourba; at Youks-les-Bains, 140 miles away; and at Canrobert, 165 miles away. In contrast the Axis were operating off all-weather fields at Tunis and Bizerta, only 20 miles away, with some forward strips less than 5 miles from the front. Thirdly, and most regrettably, few of the lessons in Army/Air co-operation, learnt in the Western Desert, were really appreciated in the Eastern Air Command which had been set up by men more familiar with the Battle of Britain and the night bombing of Germany than operating in close conjunction with land forces. Moreover, RAF communications, radars and fighter direction systems brought in with the assault convoys were inadequate for the distances involved, and the rudimentary nature of local French communications made matters worse. Command and control in the Eastern Air Command can only be described as chaotic. Army/Air Headquarters were not co-located, and there were far too few Forward Air Controllers. And fourthly, lack of an overall air command for `Torch’ began to be felt. Although the Eastern and Western Air Commands were not dissimilar in strength, the sorties flown during the period 22-30 November speak for themselves. The RAF flew 1,710 sorties, losing 45 aircraft; while the XII (us) Air Force flew 180, losing 7 aircraft. The Luftwaffe flew 1,084 sorties, losing 63 aircraft. The Italians probably flew about half the German total. But whereas the bulk of the Luftwaffe’s effort was against the Allied troops advancing towards Tunis and Bizerta, the RAF’s effort was absorbed flying fighter cover over the ports of Algiers, Bougie and Bone, and over Allied shipping off the Algerian coast, and in bombing Axis shipping and airfields around Tunis and Bizerta to slow down the flow of Axis reinforcements. There was little effort left over to support of Anderson’s soldiers who saw nothing but ground-straffing Axis aircraft. When Allied planes did appear, there was no certainty that they would strike Axis targets. There were several regrettable incidents of British and American aircraft attacking friendly columns, in spite of the display of large white stars on Allied vehicles. Anderson accepted Evelegh’s plea for a pause at Tebourba, but he did not hold the initiative. Kesselring had arrived in Tunis with orders from Hitler to drive the Allies back into Algeria. He was highly critical of Nehring’s withdrawal from Medjez, and ordered him to mount an immediate counter-offensive with Fischer’s 10th Panzer Division to retake Tebourba and to drive the British out of Medjez and back into the hills. 11th Brigade and `Blade Force’ held tolerably good defensive positions around Tebourba. 2nd Hampshires were dug in on a low ridge overlooking Djedeida, backed up by 1st Surreys which had companies on the dominating feature of Djebel Maiana and at El Bathan Bridge over the Medjerda south of the town. `Blade Force’ less the 17th/21st Lancers was on the Chuigi Pass to the north. Cass’s reserve consisted of 17th/21st Lancers and 5th Northamptons at the Tebourba Gap west of the town where the road to Medjez squeezes between the river and the mountain spurs. 2nd Battalion 13th (us) Armoured Regiment with Grants was in support of the Surreys. Fischer’s plan was a typical German encircling operation. He organised four groups. Group `Koch’, consisting of 10 companies of parachute and regular infantry with artillery and anti-tank detachments, was to mount a holding attack along the south bank of the Medjerda to the El Bathan Bridge and later to the Tebourba Gap. The main attack would come from the direction of Mateur in the north and would aim at destroying `Blade Force’ – the main armoured threat to Tunis. This attack would be carried out by two armoured groups: Group Luder with 20 tanks from due north; and Group Hudel with 40 tanks from the north east. Once these groups were engaged, the fourth group, called Group `Djedeida’, made up of scratch reinforcement battalions and supported by a few `Tigers’ would attack the Hampshires to clear them away from the airfield. Fischer’s plan went remarkably smoothly despite the improvised nature of his force and the poor communications available to him. Most of the success was due to his own personal drive. Group Luder attacked at 0745 on 1 December and drew `Blade Force’s’ attention northwards. The supply echelons were being got away when Group Hudel, led by Fischer himself, struck `Blade Force’ from the east, dispersing it and sending it reeling back to the Tebourba Gap. The 17th/21st Lancers moved north to cover the withdrawal, but lost five Crusaders in the process. They fell back to a covering position just north west of Tebourba to protect the supply route through the Tebourba Gap. Concentrated British and American artillery fire brought Luder and Hudel to a halt before they could reach this vital road link to Medjez. As soon as the German armoured thrust was spent, Fischer moved to Group `Djedeida’ and started its attack on the Hampshires. Group `Djedeida’ exasperated him with its incompetence. Even with the support of the `Tigers’, he could make little impression on the Hampshires’ defence. By nightfall, 11th Brigade’s positions were still intact, but `Blade Force’ had suffered heavily. During the night attempts were made to co-ordinate the actions of British and American tank units to oppose Luder and Hudel when daylight came. Lack of compatible communications made these efforts largely abortive. The main body of Combat Command `B’ under General Oliver was, however, approaching from Medjez and it was Evelegh’s intention that it should relieve `Blade Force’ at the Tebourba Gap on 2 December while Cass held onto Tebourba. 2 December was a disappointing day for both sides. Fischer had the greatest difficulty in forcing Group `Djedeida’ to face the Hampshires, but continual dive-bombing and steady losses from shell fire so weakened the battalion that Cass had to withdraw it to Djebel Maiana. Several ill co-ordinated attempts were made by allied tank units to attack the Luder and Hudel Groups. Attacks were made without properly co-ordinated artillery support and in piece-meal fashion because close liaison proved difficult in such a mixed force. 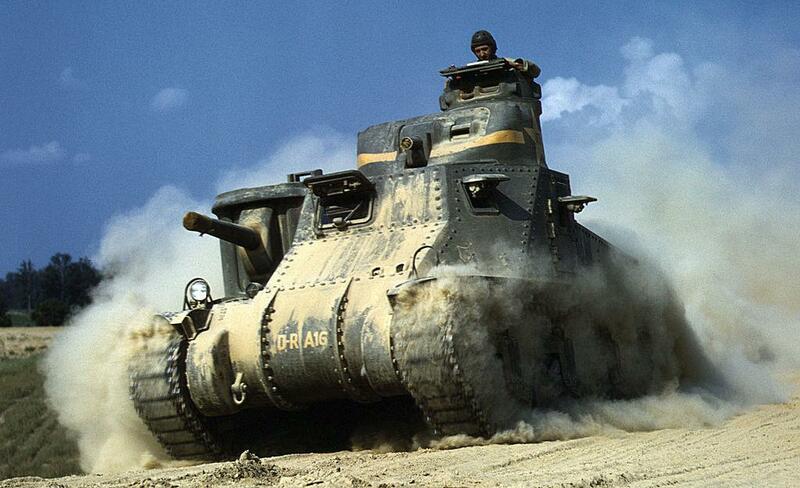 Instead of letting the Germans run onto concealed tanks and anti-tank guns, the Allies threw away their numerical advantage by attacking the Germans who were waiting for them. The arrival of Brigadier General Robinett, Commander of 13th (us) Armoured Regiment helped to stem the pointless loss of tanks. Cass and he agreed to act defensively until better co-ordination could be achieved. Nevertheless, the second day of the Battle of Djedeida ended ominously for the Allies. 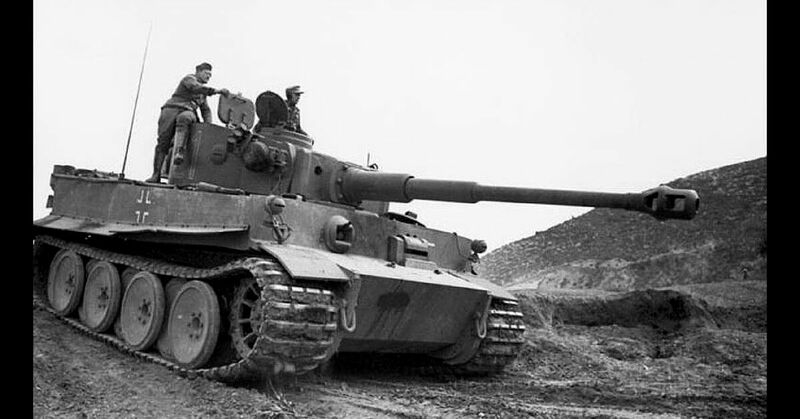 Even if the Germans did give up and withdraw, Allied tank and infantry losses had been so heavy that they would not be able to resume their drive on Tunis immediately. The Luftwaffe’s attacks showed no signs of slackening and were beginning to affect morale. The Allies would have been even more worried had they known that part of 10th Panzer Division’s 86th Panzer Grenadier Regiment had landed in Tunis that day and was being rushed forward to join Group `Djedeida’ during the night of 2/3 December. Fighting on 3 December resulted in an unmistakable German victory. The Luder/Hudel Group managed to narrow, though not actually cut, the Allied supply route through the Tebourba Gap. Group Koch was stopped from interfering with this route from south of the river by the arrival of the 6th (us) Armoured Infantry on the Djebel El Guissa on the south bank. Fischer’s main effort came from the `Djedeida’ Group, reinforced by his own Panzer Grenadiers and heavily supported by Luftwaffe dive-bombing. He attacked Djebel Maiana about 10 am and eventually wrested it from the Hampshires and Surreys. Repeated British counter attacks came tantalizingly near regaining the feature. Towards evening the Germans made a decisive break through along the river on the south side of the position. Almost out of ammunition and in danger of being cut off the British infantry withdrew, evacuating Tebourba and trying to save their heavier equipment by using an unmade track near the river. This broke up and forced them to abandon most of their vehicles and guns, the men making their way back on foot in small groups to the Tebourba Gap. The Hampshires arrived at little over 200 strong and the Surreys about 340. Had it not been for the timely arrival of Oliver’s Combat Command `B’, Fischer would have been able to take Medjez-el-Bab, as Kesselring had ordered, without further ado. We have gone beyond the sustainable limit of air capabilities in support of ground forces in a pell-mell race for Tunisia . . . the scale of possible support is insufficient to keep down the hostile straffing and dive-bombing which is largely responsible for breaking up all attempted advances by ground forces. (Mediterranean Theatre: page 320). But Eisenhower knew that the Combined Chiefs of Staff would not accept the defeat at Djedeida, nor the inadequacy of Allied air-cover as reasons for giving up. After discussions with Anderson he set 9 December as the target date for resuming the Allied offensive.